As a Design-Build firm, we manage and execute every aspect of your renovation project for you – from start to finish. Our team of experts can design your dream home through realistic 3D renderings, assist you with selection and ordering of individual items such as paint colors, tile, countertops, and appliances, and install your entire remodel, from demo to completion. Not only do we walk you through every step of the process, but we ensure your satisfaction by working with top professionals in each field. You can take comfort in knowing your home is in the hands of our qualified designers and craftsmen! Our knowledgeable design consultants have been in the remodeling business for over 30 years. Our goal is to share our knowledge and expertise in the industry by providing a helpful and educational client experience. Having worked with thousands of clients across Tarrant County, we can provide you with the answers to all of your questions and ease any reservations you might have. During your consultation, we will discuss your project with you, share some design ideas, explain the remodeling process, and discuss the timeline and budget needed to complete the job. Whether you are interested in completing a small project or a ‘full gut’ remodeling job, you can get the answers and information you need to get started with an insightful consultation! We can create a design package for your project. 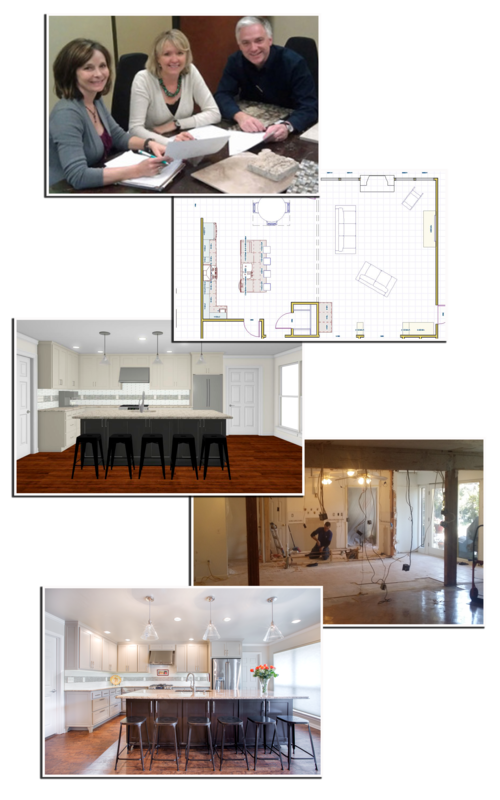 Each custom design package includes floor plans and 3D renderings of your remodeled space, a detailed Scope of Work document which breaks down every part of your project, and a Budget Items Worksheet that provides you with payment details. Our family-owned business has been remodeling in Tarrant County since 1982. We work with a very close, vetted group of professionals and subcontractors that are familiar with our process, quality level, and expectations. We understand and respect the value of your time and your family. Our craftsmen work diligently to build our client’s designs in a timely manner, and once the construction begins, our workers will do their best to finish up and keep the construction area clean, safe, and livable for your family each evening. You can rest comfortably knowing that we take pride in quality construction that is done right: to code and to the expectations of our clients! We recently introduced a handyman division of our business: Mike's Guys Handyman & Construction! Mike's Guys addresses smaller projects, such as home repairs, maintenance, and minor updates. If you need help with a small project, please visit our Mike's Guys page and fill out a contact form!